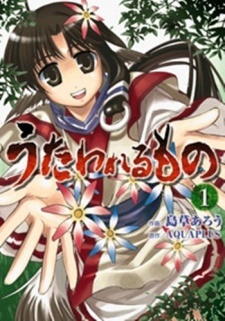 The main character, after succumbing to serious injuries, faints in the forest, only to be found and helped later on by a young woman named Eruruu. He has no memories of who he is, and furthermore he has a mask stuck to his face that cannot be removed. The elder of the village he is taken to gives him clothes, and a new name: Hakuoro. He is adopted as one of the villages own members, and is also adopted into Eruruu's family, which consists of herself, her younger sister Aruruu, and the village elder, their grandmother, Tuskuruu.